Robust drilling results from Trafford Resources Ltd’s (ASX: TRF) Zealous Tin Discovery project are showing promises of high grade tin extraction. Preliminary results from the nine reverse circulation drill holes at the project in Wilcherry Hill, South Australia, show tin grades suitable for both open cut and underground extraction. Results have determined the potential to mine to a length of more than 300m and a minimum vertical depth of around 130m. Results from drilling have also shown the minerals at the South Australian site are robust, with eight of the 17 holes drilled discovering high grade tin. Prior drilling at Zealous has also found 44 tin intercepts of 0.5% and 26 tin intercepts at +1% in eight holes. Added to this, seven holes have been found that show continuous intersections with widths of more than 10m and having a cut off of 0.1% tin. The tin discovered at Zealous has be identified as Cassiterite, which is the ‘mining-preferred oxide mineral’ according to TRF. The company says it will use the lithium borate fusion digest (IC4M) technique to process the tin. This method fuses a sample with lithium metaborate at high temperature before being digested in nitric acid. TRF believes this process is the best way to dissolute Cassiterite and has already identified more than 9,000 samples at Wilcherry Hill for extraction. The company has decided to further explore the area in South Australia and will be conducting sequential and regional assaying alongside a re-assaying programme to test for further tin potential. TRF says its latest drilling programme results ‘confirm and enhance the importance of this maiden discovery’. 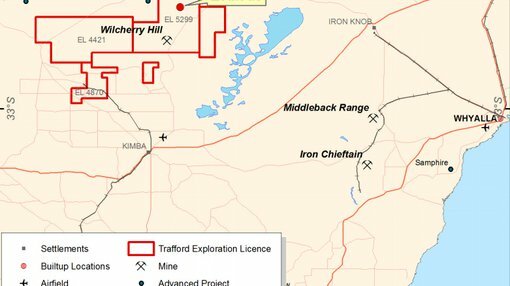 The company has also scheduled further drilling to test the strike and depth extent in the area, with a more detailed metallurgical test to be carried out later in 2014.